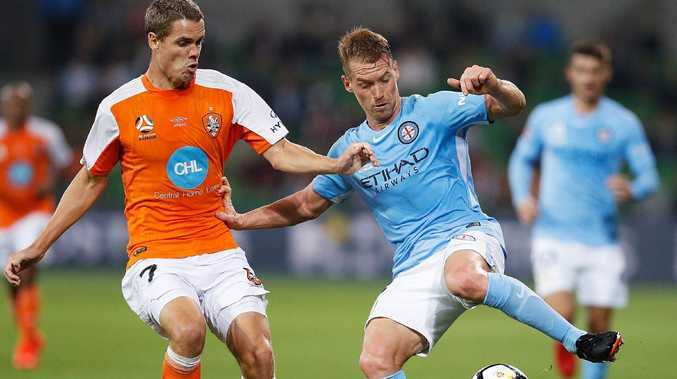 BRISBANE Roar's tumultuous A-League season has ended with a 2-0 elimination final loss to Melbourne City at AAMI Park. Having won seven of the final 11 regular-season matches to scrape into the top six, the Roar could not maintain the rage against the dominant hosts. Brisbane defended doggedly for an hour before their resistance was finally broken with 30 minutes remaining. Profiting from a slip by Roar defender Jack Hingert, City's star Uruguayan forward Bruno Fornaroli pounced on the ball and delivered a dangerous low cross into Brisbane's penalty area. It was a disappointing end to the season for John Aloisi and Matt McKay. His teammate, Stefan Mauk, beat Roar centre-back Connor O'Toole to the ball to give the hosts the lead. The Roar finally sprung to attacking life after going behind, with a header from Italian striker Massimo Maccarone floating wide of the post in the 73rd minute. 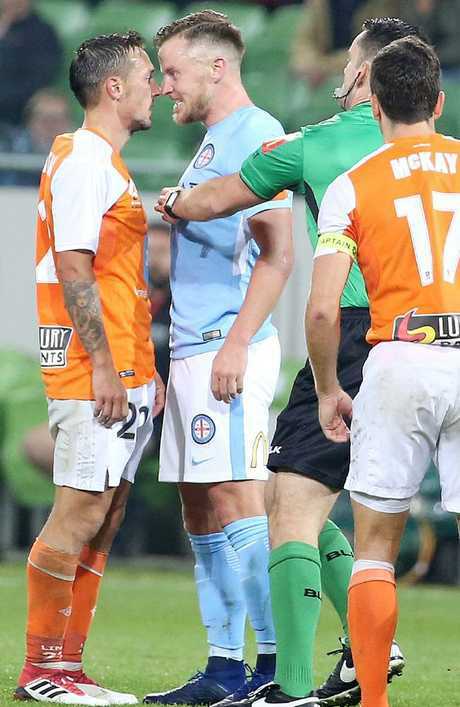 However, it was City that fittingly had the last word when former Roar prodigy Dario Vidosic crossed the ball into the path of another ex-Brisbane player, substitute Nick Fitzgerald, who headed past goalkeeper Jamie Young to seal his team's win. In the second week of the playoffs, City will meet the Newcastle Jets at McDonald Jones Stadium next Friday night for a spot in the grand final. 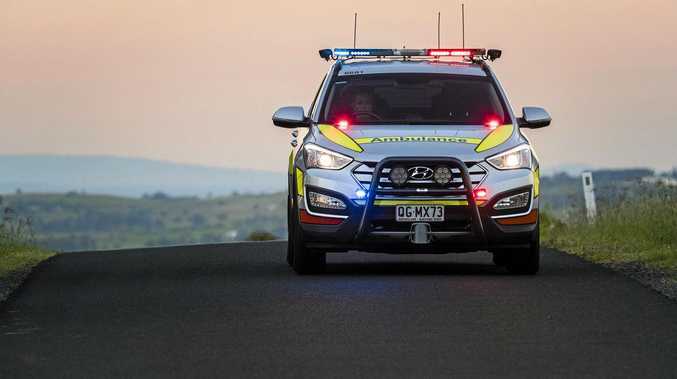 The Roar will be hoping for a better start to their next campaign. Brisbane's 2017-18 season was crippled by injuries and off-field problems. At one stage the Roar seemed destined to finish near the bottom of the ladder before belatedly finding form to play finals football for an eighth successive year. Despite his side having defied the odds to reach the finals, Roar coach John Aloisi was disappointed with Brisbane's effort. 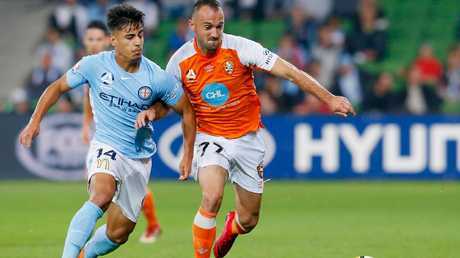 Ivan Franjic keeps Daniel Arzani at bay. "We didn't perform like we wanted to tonight," Aloisi told Fox Sports said. "They were the better team from the start … in the end we weren't good enough tonight. "The injury toll has been hard but we don't make any excuses. I was still proud of the boys for the way they fought back this season. "We didn't give up anytime, we kept going. I'm disappointed in our performance tonight but all in all to be where we are from where we've come from is huge credit to the group, to the club, and now we build for next season. "We'll be better next season - there's no doubt about that … we'll be ready." Veteran Roar attacking midfielder Fahid Ben Khalfallah announced his retirement from football after the loss. Scott Jamieson squares up to Eric Bautheac. Could it be a fairytale in A-League finals?